AKB48 come to Washington, D.C.! 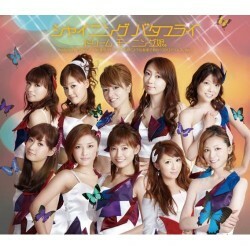 A special music pack commemorating the Dream Morning Musume concert! Nogizaka46 take on Sasshi! And more! AKB sets a new world record! New School Kaidan and Wandering Wota share some idol theories! Scandal releases Best album! And more! 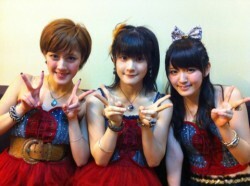 Ayappe and Tsuji will join Dream Morning Musume at the Budokan! Another goodbye release from SDN48! KAT-TUN’s Koki speaks out about Jin! And more! Buono! in Paris! NMB48 make history! Lots of great in-depth writing from the likes of idol love, Shoujiki Media, and others! Plus much more on this lovely Valentine’s Day! AKB48 are now dolls! More information on Momoiro Clover Z’s newest single! Pinku Project is profiled! And much more! You tell us about your blogs or sites we should read, and we do! Here’s a roundup of what you’ve been recommending and why we’re passing those recommendations along to you. A North American-based metablog for the English-speaking demographic of the Asian Music Blogosphere. It is run by fans (read: volunteers), for fans - all for free and completely ad-free!